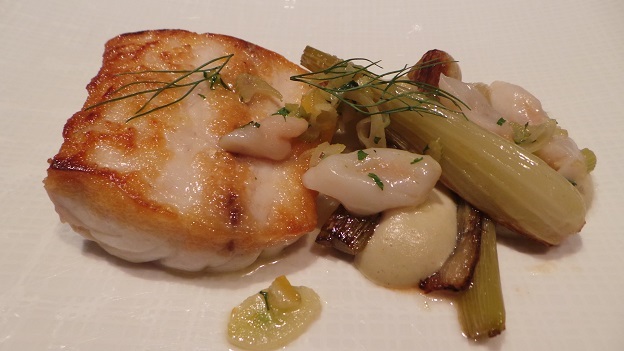 The tried and true never disappoints at Ai Fiori, Michael White’s outpost in the Langham Hotel in mid-town Manhattan. 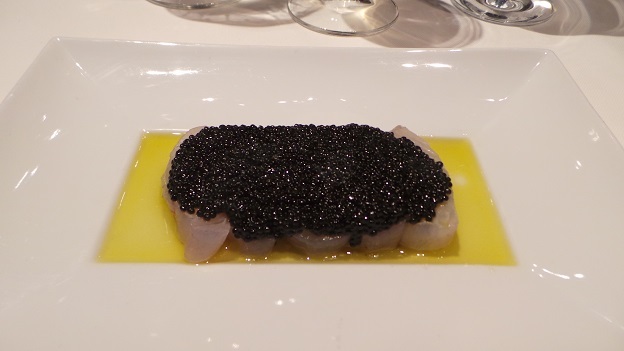 Ai Fiori’s fluke crudo, generously topped with American sturgeon caviar, is a great way to start lunch. Three shared pastas follow, the best of which is the spaghetti with blue crab, lemon, bottarga and chilies. My olive oil poached bass is perfectly cooked and has enough intensity to pair beautifully with all the wines on the table, with the exception of the 1997 Mascarello Barolo, but, then again, that would be too much to ask for. As always, service is top-notch. David Léclapart’s NV (2006) Blanc de Blancs L’Apôtre is a real stunner. I have had mixed experiences with Léclapart’s Champagnes in the past, but the 2006 L’Apôtre is marvelous. Rich, ample and burnished in the glass, the 2006 is built on serious structure, with subtle notes of pastry, pear, dried flowers and spice that add resonance. What a gorgeous Champagne. I wish I had more opportunities to drink Hermitage Blanc, as I adore the wines, especially with some bottle age. Chave’s 1998 is distinctly ripe and tropical in style. Peach, apricot pit, savory herbs, honey and mint emerge, but it is the wine’s racy, extroverted personality that is front and center. I imagine the 1998 will drink well for a number of years to come, although I don’t expect to see it improve materially. Still, the 1998 is very pretty, especially in the way its raciness pairs with the bold, lusty flavors of our pastas. Giuseppe Rinaldi’s 2004 Barolo Cannubi (San Lorenzo)/Ravera is an unexpected treat on this otherwise dreary Manhattan winter day. Aromatically lifted, the 2004 remains quite fresh and brilliant in its flavors. 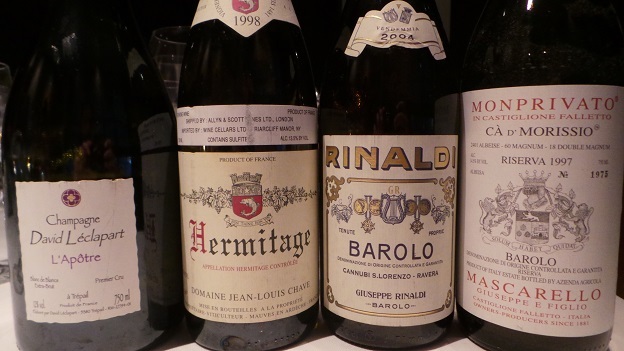 The 2004 is a decidedly lithe, mid-weight Barolo from Rinaldi that will age on its vibrant acidity rather than structure. There is a lot to like in this delicate, feminine Barolo. The 2004 can be drink today or cellared for at least another 10-15 years. A much deeper, richer wine, the 1997 Barolo Riserva Monprivato Ca’ d’Morissio from Giuseppe Mascarello captures the essence of the year to the fullest. Dark red stone fruit, spice, leather and espresso notes blossom in a rich, unctuous wine with a demi-glace like sense of unctuosity. The 1997 is starting to present the first signs of tertiary complexity, and won’t last forever, but it is beautiful today. Sadly, the outside world and all of its chaos beckons, but this delicious lunch provides a few hours of much needed tranquility in an otherwise pretty hectic week.